The main inspiration behind this idea is "Most of the organisations avoid using PDF related automation because of OCR & its accuracy, and they miss to utilize wonderful functionality of UiPath which can extract the data with 100% accuracy from Native PDFs, with this snippet they will be able to segregate the PDFs based on its type(Native or Scanned)." This snippet can segregate the scanned and native PDFs from a given set of PDFs in their respective folder so that other automation can process the further tasks like reading the PDF document with OCR from the Scanned folder & Reading data with the Native or Full-Text method from Native Folder. I learned almost every automation is possible using UiPath, You just need to identify the way of doing it. 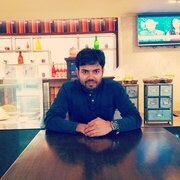 The files which have been moved under scanned folder can be utilized by another automation which has The OCR Engines activities Like Abbyy Flexi capture, Microsoft OCR or Google OCR to extract the information from PDFs, And the files which have been moved under Native Folder can be utilized by another automation which consists of Full text or Native methods to extract the data from PDFs. Or Anyone can use it or modify it evolve and develop further activities associated with PDFs.